METROP There are 17 products. 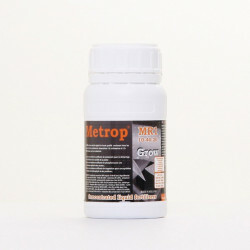 Check out our selection of fertilizer Metrop, these fertilizers growth recognized for their high efficiency, they can help you get your bouturages and will improve the root development of your crops indoors and outdoor. 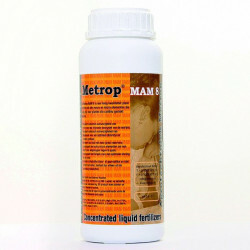 The products Metrop are liquid fertilizers concentrated and biodegradable, which offer a very good amount of micro-elements with high-quality raw materials and hence nutrients qualitative growth in the fertilizers will enrich your soil. The jars and bottles of fertilizers are on average 5 times more concentrated than other fertilizers on the market, the pattern is simple, 1L fertilizer Metrop = 5L average for the other fertilizers in the market. This range in total rupture with the other fertilizers you will record harvests. Patterns of culture are available for more information, be ready to be grown with these fertilizers complete pacemakers available in a variety of formats to adapt as much to neophytes as to mycologists.